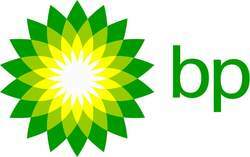 BP is one of the worlds largest oil companies. It started it's major expansion into a truly global player with the acquisitions of US concerns Amoco and Atlantic Richfield. More geared to oil production and exploration than its main rivals. BP formally had a highly progressive dividend policy, but this was affected badly by the gulf of Mexico oil spill. This caused the company to suspend it's dividend for three quarters. BP's second-quarter replacement cost (RC) loss was $6,266 million, compared with a profit of $3,182 million a year ago. After adjusting for a net charge for non-operating items of $7,486 million, mainly relating to the recently announced agreements in principle to settle federal, state and the vast majority of local government claims arising from the 2010 Deepwater Horizon accident, and net unfavourable fair value accounting effects of $93 million (both on a post-tax basis), underlying RC profit for the second quarter was $1,313 million, compared with $3,635 million for the same period in 2014. For the half year, RC loss was $4,163 million, compared with a profit of $6,657 million a year ago. After adjusting for a net charge for non-operating items of $7,899 million and net unfavourable fair value accounting effects of $154 million (both on a post-tax basis), underlying RC profit for the half year was $3,890 million, compared with $6,860 million for the same period in 2014. Non-operating items include a restructuring charge of $272 million for the quarter and $487 million for the half year. Restructuring charges are now expected to be around $1.5 billion by the end of 2015 relative to the $1 billion we announced back in December. RC profit or loss for the group, underlying RC profit or loss and fair value accounting effects are non-GAAP measures and further information is provided on pages 3 and 30. BP's first-quarter replacement cost (RC) profit was $2,103 million, compared with $3,475 million a year ago. After adjusting for a net charge for non-operating items of $413 million and net unfavourable fair value accounting effects of $61 million (both on a post-tax basis), underlying RC profit for the first quarter was $2,577 million, compared with $3,225 million for the same period in 2014. The underlying result for the group was lower, mainly due to reduced profit in Upstream, which was partly offset by an improved result in Downstream, as well as certain favourable tax impacts. The Upstream result for the first quarter was a profit of $604 million comprising a loss of $545 million in the US and a profit of $1,149 million for non-US. This compares with a profit of $4,401 million for Upstream for the first quarter of 2014. RC profit or loss for the group, underlying RC profit or loss and fair value accounting effects are non-GAAP measures and further information is provided on pages 3 and 27. BP's fourth-quarter replacement cost (RC) result was a loss of $969 million, compared with a profit of $1,507 million a year ago. After adjusting for a net charge for non-operating items of $3,565 million, mainly relating to impairments in Upstream, reflecting the impact of the lower near-term price environment, revisions to reserves and other factors (see page 4 and Note 3 on page 22), and net favourable fair value accounting effects of $357 million (both on a post-tax basis), underlying RC profit for the fourth quarter 2014 was $2,239 million, compared with $2,809 million for the same period in 2013. BP's third-quarter replacement cost (RC) profit was $2,385 million, compared with $3,178 million a year ago. After adjusting for a net charge for non-operating items of $798 million and net favourable fair value accounting effects of $146 million (both on a post-tax basis), underlying RC profit for the third quarter 2014 was $3,037 million, compared with $3,692 million for the same period in 2013. For the nine months, RC profit was $9,042 million, compared with $22,174 million a year ago which included a $12.5-billion gain relating to the disposal of our interest in TNK-BP. After adjusting for a net charge for non-operating items of $1,055 million and net favourable fair value accounting effects of $200 million (both on a post-tax basis), underlying RC profit for the nine months was $9,897 million, compared with $10,619 million for the same period last year. RC profit or loss for the group, underlying RC profit or loss and fair value accounting effects are non-GAAP measures and further information is provided on pages 3 and 29. BP today announced its financial results for the second quarter of 2014. Underlying replacement cost profit for the quarter of 2014 was $3.6 billion, 34% higher than the $2.7 billion reported for the same period in 2013 and 13% higher than the $3.2 billion result for the first quarter of 2014. BP's third-quarter replacement cost (RC) profit was $3,178 million, compared with $4,534 million a year ago. After adjusting for a net charge for non-operating items of $522 million and net favourable fair value accounting effects of $8 million (both on a post-tax basis), underlying RC profit for the third quarter was $3,692 million, compared with $5,017 million for the same period in 2012. For the nine months, RC profit was $22,174 million, compared with $9,419 million a year ago. After adjusting for a net gain for non-operating items of $11,536 million and net favourable fair value accounting effects of $19 million (both on a post-tax basis), underlying RC profit for the nine months was $10,619 million, compared with $13,219 million for the same period last year. RC profit or loss for the group, underlying RC profit or loss and fair value accounting effects are non-GAAP measures and further information is provided on pages 3, 19 and 21.